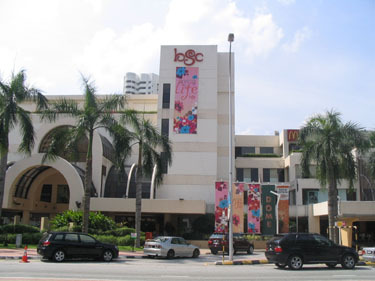 The Bangsar Shopping Centre or BSC is a prestigious neighborhood mall serving the communities of Bangsar, Damansara Heights, Kenny Hills, Sri Hartamas and the nearby Petaling Jaya areas. It is Bandaraya Development Berhads famous shopping mall right in the heart of the upmarket Bukit Bandaraya in Bangsar. BSC has a spacious 160,000 square feet of retail space which more than cater to the demographics of the shoppers primarily in the surrounding areas. BSC is strategically situated at the Bangsar intersection which can take you to downtown Kuala Lumpur or to Petaling Jaya which is basically another of Malaysia's satelite cities. 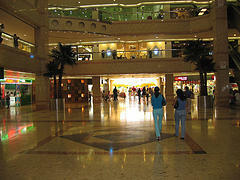 This shopping mall carries a fair range of clothing outlets, speciality shops, pharmacies and a bookshop. Cold Storage has been it's anchor tenant since day one. One can also expect to visit their flea market which is being set up every Saturday morning. Having been in business some 20 plus years ago, BSC has been constantly providing up-to-date brand names and various activities that never fail to create a buzz for itself. Touted as Bangsars favourite neighbourhood mall, BSC offers a wide range of stores that cater to the whole family, be it the KidzSports & Gym for the children, the Actors Studio for the grown ups or al fresco dining for everyone. Recent improvements to BSC, with the addition of fashionable eateries like La Bodega and Alexis, as well as a number of up-and-coming fashion brands, have cemented its position amongst the citys young professionals, making it their destination of choice. Apart from it's current upgrading activities, the Bangsar Shopping Centre is in the midst of erecting their third wing which will give the entire mall an additional 90,000 square feet of exciting new retail outlets and restaurants. There will also be a courtyard area for cafes, restaurants and fine dining. There will also be a 10-storey office block that will strengthen BSCs already sterling customer base. No. 283, Jalan Maarof, 59000 Kuala Lumpur, Malaysia.